Total precious gemstone weight, measured as set, is approx. 7.86 carats. Ring size is 6 and it is resizeable. Ring weight is 5.9 grams. as Kite cut on the salescheck information from Saks back in 1995. 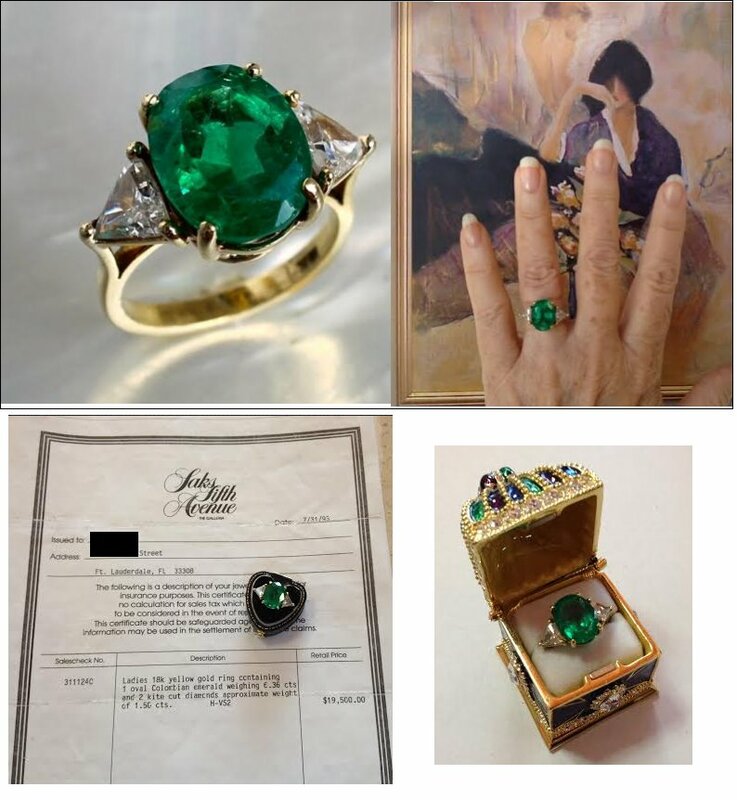 We have several pieces of jewelry from this estate. may also be viewed in person in our Stuart, Florida showroom. Our Showroom Hours are 10AM - 5PM Monday thru Saturday during the Holiday Season.